Making culture availble to the most vulnerable groups is crucial if we want to fight against exclusion, develop or strengthen social bonds and enhance self esteem. At the heart of our CSR strategy, the scheme named "Culture for All" reached over 2 700 people in 2015. Making access to Culture easier for the most vulnerable groups is essential in the fight against exclusion, in the development or renewal of social bonds and in boosting self-esteem. As part of the CSR strategy, the scheme « Access to culture » is directed to around 3,000 people every year. “Access to culture” shows the determination to made culture available to all. To do so, action is taken to amplify the economic, physical and symbolic accessibility of the artistic and cultural events on offer. The aim is also to allow groups who normally have little access to Culture to take part in the concerts and shows that La Cité produces and/or hosts. 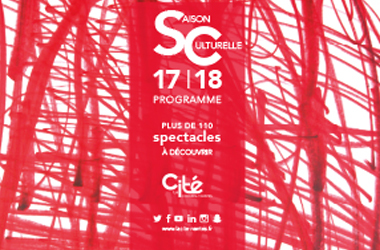 To those who normally have little access to Culture, La Cité proposes two-euro tickets to attend the following events : Baroque en Scène, Jazz en Phase, Les Éclats Francophones and Utopiales. These tickets are sold by the Nantes solidarity associations and community structures : Carte Blanche, Accoord Nantes, Nantes ados, le secours populaire, etc. The scheme has allowed to build trust in the relationship between La Cité and the beneficiaries. Every year, La Cité stages “outside” events. For example, every year the Utopiales team visits the prison, the hospital, the different neighbourhoods and the “Pôle Sequoïa” in Nantes. We are determined that Culture should reach school children. Every school year, we ensure that one or two cultural day-shows are reserved for school children. Both Utopiales and Atlantide festivals have developed a specific school programme. In this context, La Cité welcomes, every year, around 2,000 school children of all ages.